Looking Ahead To The Academy Awards 2015 | Warped Factor - Words in the Key of Geek. 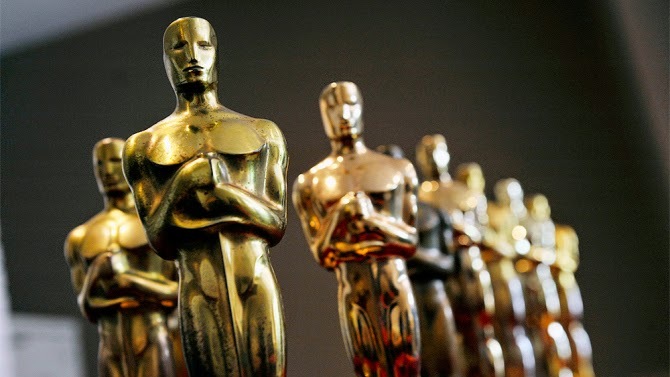 Michael Allan looks ahead to this Sunday's Academy Awards. The Academy Awards are fast approaching. For those who don't know, the Academy Awards (or The Oscars) is the biggest annual movie-awards event. In my opinion, winning an Oscar is the greatest achievement a filmmaker can be given. As an aspiring writer and director, I'd love to even attend the Oscars one day - alas, it is unlikely. Usually, only the finest quality of movies are nominated, is it the same for this year? I set it my challenge to watch all the 'Best Picture' nominated films, and now, I will give a short summary of my thoughts on them. This article may contain mild spoilers, but they'll be nothing that gives too substantial plot details away. Anyways, without further ado - Lights, camera - Action! Birdman (or The Unexpected Value of Ignorance) - Over the course of this article, I'll commend or offer critique of the movies for their cinematography, directing, writing or acting. All of the films nominated have different strong points, depending on the story they're telling or the type of the director in charge. While this movie has the acting talents of Michael Keaton, Edward Norton and Emma Stone, its main asset is in the directing, cinematography and writing departments. Birdman follows Keaton's character, Riggan, who is trying to put on a Broadway play. Riggan used to play a big blockbuster superhero called Birdman, for which he's mostly remembered for. Can Riggan break out of his typecasting, and become known as an actor again? There's also a fascinating sub-plot to do with realism in the theatre, focusing on Norton's character, and something Riggan does in the conclusion. The ending is open to interpretation and really leaves you thinking. Great scripting. Also, the way it was filmed to make it look like one big take is fascinating, I'm not sure if they were using the Hitchcock technique to do it, but it looks very nice, and really gives the movie another dimension. Boyhood - You know what's funny? I went to HMV a few days ago, and when looking at the DVD's, I saw a display they'd put up - It was for the Oscars, and on the display were many films which had won Academy Awards in previous years. There was Schindler's List, The Wizard of Oz, Forrest Gump...And the DVD of 'Boyhood.' Even before the Oscars, HMV knew Boyhood was most likely going to win big. The movie, directed by Richard Linklater, will no doubt get Best Picture this year. Praised by Barack Obama himself as the best movie of the year, it's already won many awards at the Golden Globes and the BAFTA's. Filmed over 12 years, the movie follows Mason and his family, who literally grows up before our eyes. Quite frankly, I think this movie is VERY overrated. The directing is good, as is the script, the cinematography and most of the acting (I'm saying nothing about the acting of the two children as they grow up...). Making this film the way they did was a gamble, as a lot could happen in the 12 year period. Luckily, none of the main stars died or received terrible injuries, but the acting deteriorates, especially with the daughter character (played by Linklater's daughter). Let's be serious though - the only reason this film is popular is because of the '12 years' gimmick. It's an interesting filmmaking technique, but nothing special. I could film paint dry, and shoot the paint over 12 years - Would that be Oscar worthy? And, to be quite honest, with this films slow pace, sometimes it does seem like I'm watching paint dry... I know this sounds very negative, and the movie is good, but compared to the others here it's not as good as it's being hailed to be. 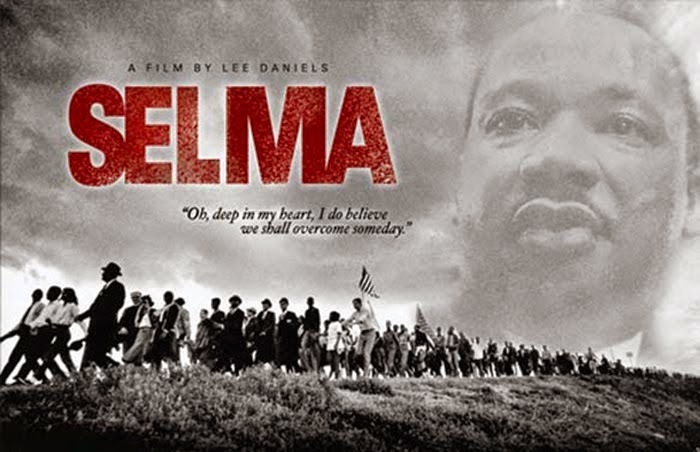 Selma - Before I saw this film at my local cinema, I was unsure what I was going to see. My family was excited to see it, and I thought the trailer looked good, and, of course, the story of the life of Martin Luther King is a very important one. But, in the last few years, it's as if these 'racial history' movies have became their own genre. We've had films like Django Unchained, Nelson Mandela: Long Walk to Freedom and last year's Best Picture winner, 12 Years A Slave. We know the Academy are suckers for that kind of thing, and while all these films have important messages and are all good films, it seems like Selma is just following a trend. Having seen the film now, it may fit in with that trend, but it's certainly the best of the crop. David Oyelowo is fantastic, it's well written and well directed. Martin Luther King is depicted perfectly, as are some of the famous events happening with him. While the fact King's famous speeches could not be used may seem like a hindrance, it only strengthens the film. A great movie. The Imitation Game - Another biopic, this time focusing on the life of, arguably, the most important man in World War II - Alan Turing. 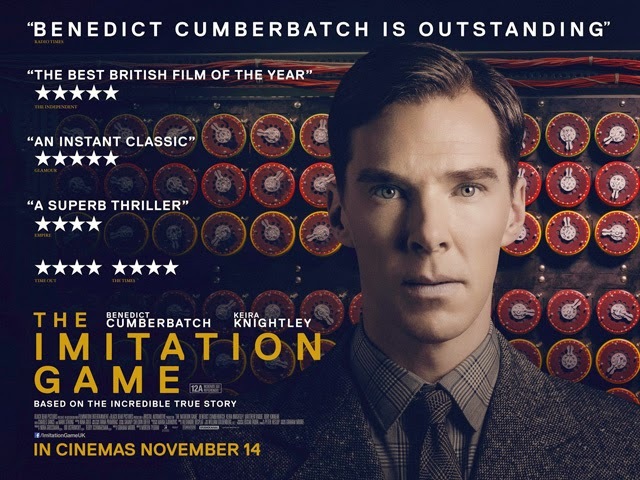 Benedict Cumberbatch, who plays Turing, is my favourite actor and his performance really makes this movie. He masters the part, and all the emotions Turing feels are perfectly conveyed. This is a fascinating character piece as we find out more about the man and his past. 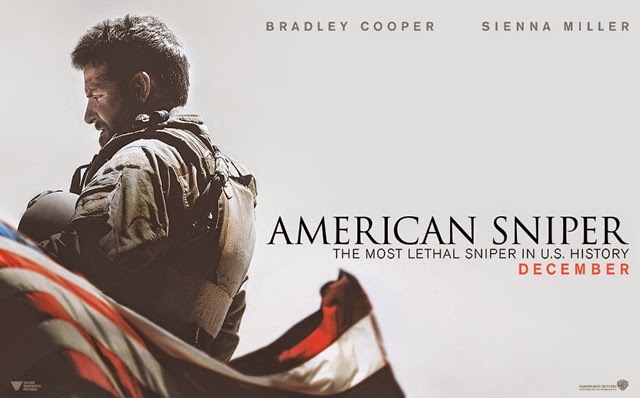 There are some great World War II moments in here too, and the movie immediately transports you back to the 1940s. The final scene, between Cumberbatch and Keira Knightley, is devastating. 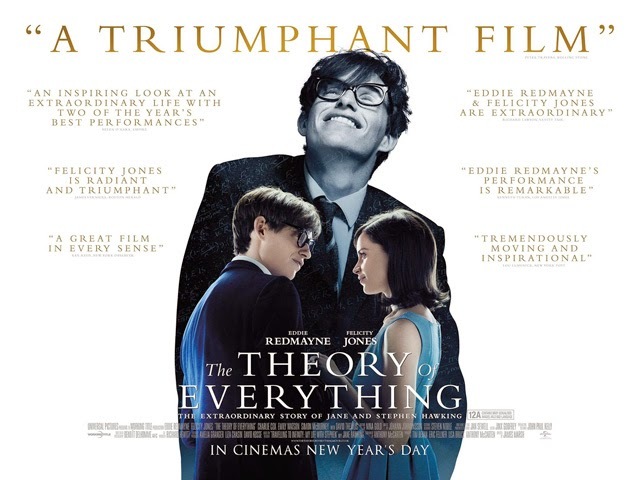 The Theory of Everything - Yet another biopic (Seriously? Four biographical films! ), based on the book 'Travelling To Infinity', this fantastic film focuses on the life on Stephen Hawking, the incredible mathematician best known for his 'black hole' theory. Like 'The Imitation Game', this film's highlight is the acting. The leads, Eddie Redmayne and Felicity Jones, both give magnificent performances, with Mr Redmayne perfectly capturing the progression of Hawking's motor neurone disease, and Felicity Jones making Jane identifiable and admirable. This is a great film not only about Hawking's life and successes, but about the power of love and the strength of humanity. Also, it features a Doctor Who reference, as Hawking is a big fan of the show - that for me elevates a great film to an even better one. The Grand Budapest Hotel - So far in this article, I've praised Birdman for its writing and cinematography, and The Imitation Game and The Theory of Everything for their acting. For this film, most of the beauty is right in front of you on the screen. 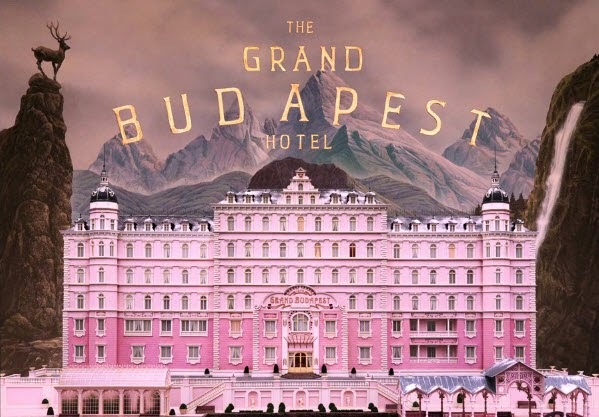 I imagine The Grand Budapest Hotel will win the 'production design' and 'makeup' categories - and quite rightly too. The hotel itself looks beautiful, and the film is so colourful and vibrant. A lot of the nominated movies are moody and serious, which makes it nice to finally see a film that's so bright! The designs are really quite brilliant, they give the film a visual identity. Also, this carries into the script by Wes Anderson (also the director). It is witty, intelligent and extremely funny. The main plot is interesting and just such a joy to watch. I love the characters of Gustave and Zero, played by Ralph Fiennes and Tony Revolori, who give hilarious and touching performances. The morbid ending comes out of nowhere, but somehow feels right. While I'm not sure whether this will be hailed as a masterpiece in the future, and I wouldn't say it's the best film on this list, it was certainly the one I enjoyed watching the most. Whiplash - This is a good film. A really good film. I'm not into jazz music, or drumming, but Whiplash really isn't about that. It's a character piece, and a very well executed one. J.K Simmons' character is horrible, and his performance really helps us feel the emotion. Gosh, I hated him by the end. Miles Teller also acts well here, showing us the way his character changes as the movie goes on. At the start, he's nerdy, vulnerable and awkward, but as he gets more obsessed with improving his drumming under Simmons' teachings he becomes more confident and someone who's not so nice. The ending leaves you thinking, and makes you reflect on not only the morals of the characters, but your own morals - How far would you be willing to go for success, to be 'one of the greats'? It's a shame that this movie don't make much money at the box office, but hopefully it will pick up with DVD sales, and more people will see it thanks to the nominations. Whiplash was, most certainly, my tempo. The Academy usually nominate films that display a unique type of film-making (and quite right, too), which is why Boyhood will probably win Best Picture. And although I didn't enjoy and praise the film as much as I did with some of the other movies, I acknowledge the 'groundbreaking' film-making techniques. 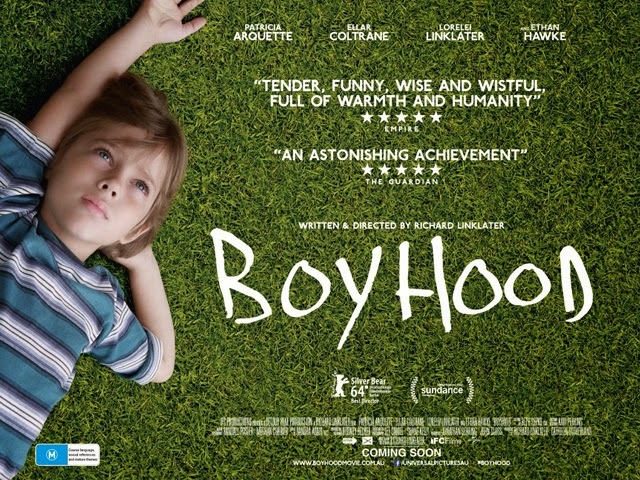 A film like Boyhood will never be made again, at least not with the same spirit. Out of the eight films nominated, I've given mostly positive reviews to them all. Even the films I didn't like so much have admirable aspects. Movies are important, and when they're done right and great films like the ones above are made not only do they entertain, but they give you an experience, a journey. A lot of these films left me thinking for hours after seeing them, and I felt enriched by the experience. Film can change people, and change the way they see the world. Even when their job is only to entertain, those films can still improve someone's life. The great thing about the Academy Awards is that it's not just an excuse to have a bit of a party, to gather all these celebrities together and play to their ego's before giving them a priceless gold statue, I think it's about celebrating people who have made, potentially, life changing art. And that's great. So what do you think? Do you agree or disagree with my comments? And which film do you think will be awarded the Academy Award for Best Picture?